Le Marché des Enfants Rouges, literally this means "Market of the Red Children", is lovely, beautiful and always crowded on sunny days. But the crowd seems to be one committed to a kind of idleness: slow food somehow needs slow people and slow places. And this is one of them. Walk around and you'll be infected by a contagious carelessness. Here you are, in the middle of bobo land, where the bourgeois bohemians stroll on Sundays with their kids, where they buy their organic food and where, on weekdays, they have lunch in one of the numerous market restaurants. Middle-Eastern, Italian, Afro-Caribbean, Moroccan food you name it. But my favourite one is the Japanese restaurant with food as delicate as the ladies preparing it. There is a special fauna here. The photographer for example, with his neighbouring atelier, is always hanging around at the market, selling old photographs for horrendous prices between a café and a petit rouge, a glass of red wine. There is also the guy from the bakery, who often has a joke on his lips and who’ll always give you a mini pain au chocolat for free. 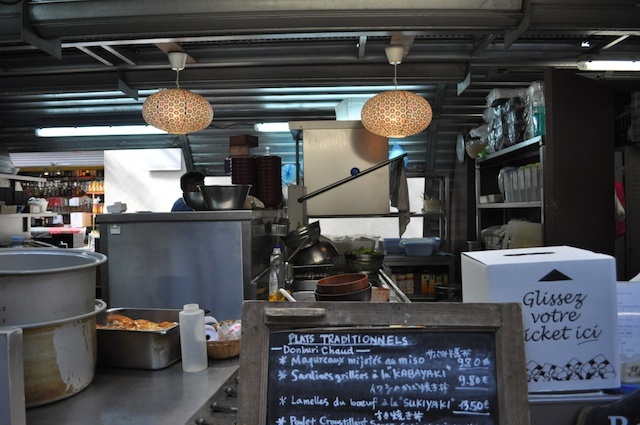 The atmosphere on the market is what they call “bon enfant” in France: everybody is always in a wonderful mood – which is not so common in Paris. 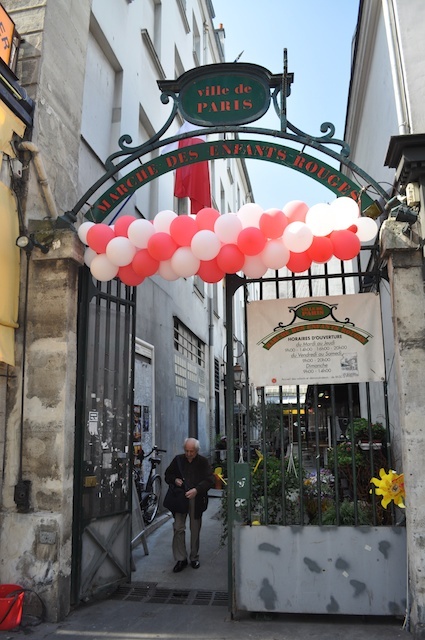 Today, the Marché des Enfants Rouges is celebrating its 10th birthday. How is this possible, you might wonder? Well, the oldest market in Paris was closed in 1995 and was supposed to be torn down. They wanted to construct a huge car park and – to give the whole thing a touch of charitable benefit - a kindergarten. Back than, I just had moved into the neighbourhood and clearly remember the fight. People wanted to get their market back. 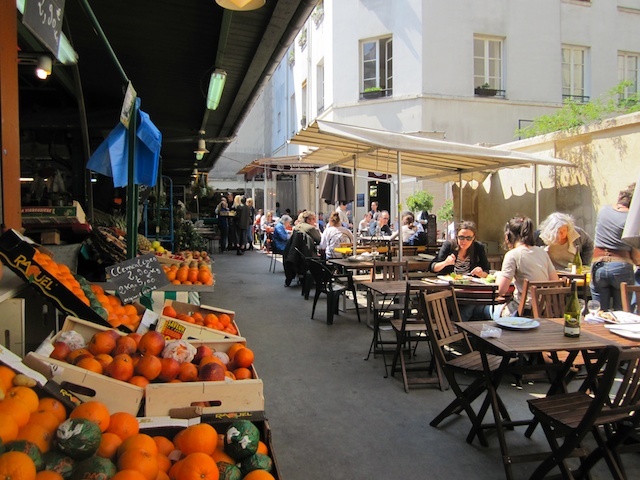 Thanks to the mayor, Pierre Aidenbaum, and some stars like filmmaker Bertrand Tavernier, who lived in the Marais, the market was saved from an uncertain future.